Despite growing wealth and technological development the children and youth today face physical and mental health crisis of surprising scale. For last half a century the landscapes of childhood have gone through profound changes, including growing popularity of indoor sedentary and screen activities and the dusk of free outdoor play. What are the consequences of play and nature deficits for our children? What do children need for their health and development? And what can we do to give nature and play a place in our lives they deserve? Petr focuses his work on children and nature, education and environmental protection. He is puzzled by why children play, how they learn and why they need to relate to nature and the world around us in order to develop and prosper. He wrote a book (in Czech) Children Out in Nature: Endangered Species? (2016). 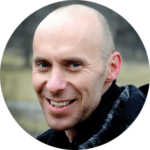 Petr is the director of the Educational Centre TEREZA and the president of the Network of Environmental Education Centres Pavučina in the Czech Republic. He is a member of working groups for environmental education and education for sustainable development on national and international levels. Caring for people, caring for nature and fair shares are the permaculture ethics that can help educators approach teaching that creates healthier, happier children who are motivated to learn. When this happens outside, children make connections in their learning and can better understand important issues and the need for sustainable practice. In this presentation Juliet will share stories and practical examples from her own outdoor work with schools and kindergartens, particularly around involving young children in the design process. Juliet is an education consultant specialising in learning and play outdoors, who has been actively involved in developing policy and practice at a local and national level in Scotland for almost 10 years. Prior to this she was a head teacher of 3 different schools ranging in size from 6 to 277 students. In 2000 she received a Millennium Pioneers Award to explore how to develop the school grounds using permaculture principles. Since then she has always been interested in how these principles can underpin a school's ethos and approach. 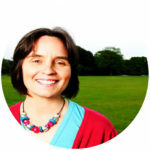 Juliet is the author of two best-selling education books: Dirty Teaching: A Beginner's Guide to Learning Outdoors and Messy Maths: An Outdoor, Playful Approach for Early Years.